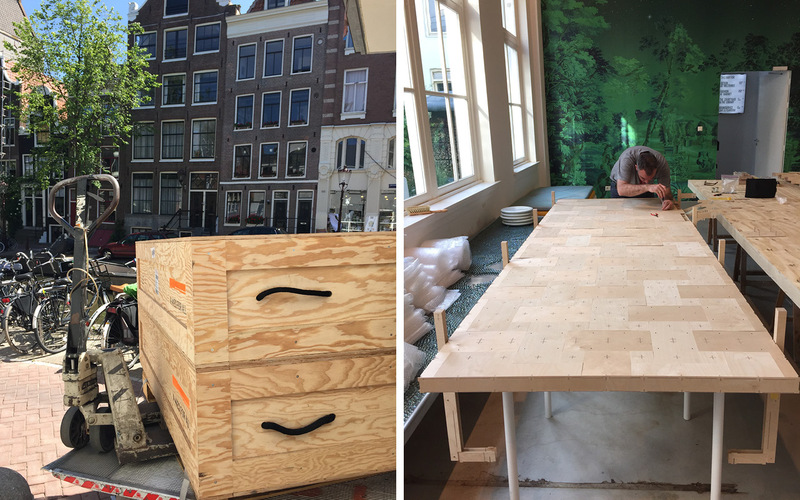 After fabricating and assembling the A Mies for All superstructure in our studio at the University of Kentucky, we disassembled the entire house and shipped all parts to Amsterdam. 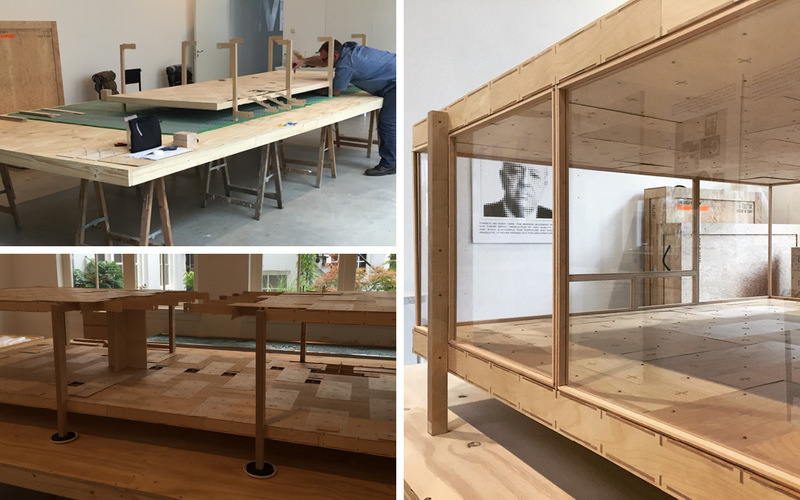 We carefully reassembled in Hôtel Droog’s Gallery for an exhibition on A Mies for All organized with our collaborators One Architecture and Pierre Bismuth. The assembly, disassembly, reassembly and subsequent disassembly proved the simplicity, durability, and repeatability of the superstructure’s construction. 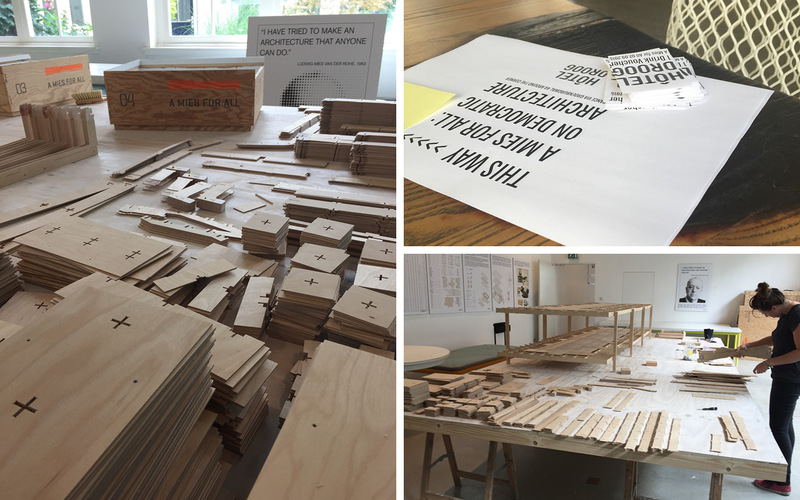 The exhibition culminated in a finisage/public debate with Matthijs and Pierre at Hôtel Droog.